Permanent hair removal is an increasingly demanded treatment by men and women who want to eliminate the problem of unwanted hair. The permanent hair removal machine is an increasingly demanded treatment by men and women who want to eliminate the problem of unwanted hair. The hair removal machines are definitely the most requested professional aesthetic devices in the recent years. The most commonly used machines are laser diode and pulsed light photo epilation. ,Also the electrolysis depilation treatment continues to be highly used in beauty centers. 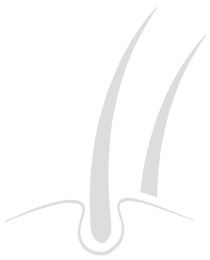 The term “photoepilation” refers to the treatment performed with laser and pulsed light because both techniques use selective photo- thermolysis: the light emitted is absorbed by the epidermis in the form of heat and, consequently, causes a gradual weakening of the hair. 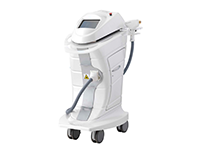 The permanent laser hair removal machine is taking more and more foot in recent years and is now the most desirable hair removal treatment. The defocused diode laser technique is a very safe and painless treatment and do not damage the skin. This permanent hair removal machine emits a 808 nm wavelength light that uses the selective photo-thermolysis of melanin in the hair. The heat causes a thermal shock to the hair. This shock received by the hair bulb slow down the hair growth. After several treatment with the permanent hair removal device , the hair bulb does not make the hair to regrew and the skin remains smooth. The action of diode laser is very effective and, compared to other methods, it can be practiced even during summertime, even if the skin is tanned. The Panestetic laboratories have developed the hair removal laser machine DELIGHTER. The professional pulse light epilator is another permanent hair removal machine that effectively removes unwanted hair. This system is based on the same principle of diode laser : the light, absorbed by melanin, is transformed into thermal energy that does not allow further hair growth. The main difference is that the laser hair removal machine only works on melanin’s hair, while the professional pulsed light epilator also interacts with the melanin present on the skin. Treatments will therefore be suspended during the summer. These aesthetic equipment are not aggressive for the patient and they are very innovative compared to traditional hair removal methods. The Panestetic professional pulse light machine is KSENON.